Use of a handheld photo speed enforcement camera by patrol officers was recently approved by the Board of Mayor and Aldermen in Mt. Carmel, Tenn. The device, which the police department will use to issue $50 citations, is essentially a radar gun mounted with a camera. 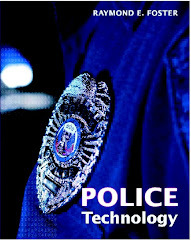 It stores photos and related information in a tablet computer, which is then used to generate citations, thus saving the officers the time that would be involved in conducting traffic stops. Tennessee has banned used of stationary speed enforcement cameras. The Pueblo (Colo.) Police Department and partner Crestone Recovery Health Solutions have assigned two licensed therapists to respond along with law enforcement officers when individual callers appear to be having a mental health crisis. The goal of the project is to get people the help they need and reduce the burden on officers responding to such calls. The town of Fishers, Ind., which has a population of approximately 90,000, has undertaken a mental health initiative aimed at helping first responders and community members deal with rising rates of suicide and calls for those perceived at risk of suicide. The program includes better communication and coordination between departments and ongoing crisis intervention training. A New Mexico state police officer is recovering after his ballistic-resistant vest and his badge stopped a bullet fired by a suspect with a long criminal past early on the morning of August 27. The officer and a San Juan County deputy sheriff pulled over a pickup truck that matched the description of a wanted vehicle and arrested the two occupants; one of them managed to draw a gun and fire despite being in handcuffs. He was killed when the officers returned fire. A total of five prisons and nearly 6,000 inmates have been evacuated from Houston area prisons due to Hurricane Harvey-related flooding. The prisoners have been loaded onto buses and transported to other facilities in the eastern part of the state, with no incidents occurring during the evacuation. All five prisons house only men. Pennsylvania's State Intermediate Punishment (SIP) program houses non-violent drug offenders who have already served 10 months in prison in a community corrections setting with drug and alcohol treatment and strict behavioral guidelines that can land a participant back in prison for a short term or permanently. A two-year pilot project has proven effective in reducing recidivism, and the project is in the process of being rolled out statewide. An Aug. 17 incident involving the use of a drone to drop contraband into the Richard A. Handlon Correctional Facility marked the third time in 2017 that a drone has made such an intrusion into a Michigan correctional facility. Several additional attempts have resulted in crashed devices or entry without dropping any contraband. The state is in the process of trying to determine how to handle this new threat while still grappling with an ongoing shortage of correctional staff. A new report from the Vera Institute says that supplemental video visits provide increased family contact and improved relations for inmates, but that eliminating in-person visits in favor of video-only visits can have negative results. As the report was released, the Durham County (N.C.) Detention Facility is preparing for the launch of video visitation this fall, and the Sheriff's Office says these video kiosks will be used in a supplementary manner. A drone carrying cellphones recently crashed near Macon State Prison in Oglethorpe, Ga. A guard drove to the crash site and recovered the contraband. During the episode “The Fog of War” of the CBS drama series Code Black, two characters quickly decided to use a “balloon-tipped catheter” for “REBOA” to save a patient. The concept: a balloon that temporarily stops major bleeding in the aorta of the heart. It’s a device that can save lives and it’s a story that started with the American military. The U.S. Army Medical Research and Materiel Command’s Combat Casualty Care Research Program (CCCRP) and Code Black’s head writer-executive producer were even in touch about the episode’s accuracy, which turned into a mutually-beneficial partnership. Military service members developed the small balloon-tipped catheter into its current state-of-the-art form due to the need for a piece of equipment that could be used in a battlefield environment to rapidly slow internal bleeding, without damaging vital organs, long enough for a patient to receive life-saving care. The ER-REBOA is used for the procedure called “Resuscitative Endovascular Balloon Occlusion of the Aorta,” to stop hemorrhaging that cannot otherwise be stopped using either conventional or junctional tourniquets. “This works for a class of wounds you can’t put a tourniquet on,” said Alan Hawk, who manages the Historical Collections at the National Museum of Health and Medicine. NMHM is the Department of Defense’s military medical museum and is an element of the Defense Health Agency. “If you’re in a situation in the field and you couldn’t clamp the artery, this would let you do it. It’s the sort of innovation unique to military medicine that will save lives on the battlefield and, possibly, become a common practice elsewhere,” Hawk added. Col. Todd Rasmussen, a vascular surgeon, former CCCRP Director and current Associate Dean for Research at the Uniformed Services University, told the NMHM’s May 2016 Medical Museum Science Café program audience that while the origins of a balloon aortic occlusion device were reported during the Korean War in the 1950s, emergency endovascular capabilities were nonexistent in 2003 and 2004 at the beginning of the Iraq and Afghanistan wars. Hawk requested an ER-REBOA to add to the museum’s collection of artifacts documenting the history of combat casualty care. The ER-REBOA was received at NMHM in January 2017. “This device is a continuation of our collection documenting the history of hemorrhage control,” said Hawk. The museum collection includes over 155 artifacts ranging from 19th century tourniquets used for amputations to hemostatic forceps used in surgical procedures. The Department of Defense’s pioneering role in controlling blood loss during pre-hospital care is represented by the development of hemostatic bandages and new types of tourniquets first used during the conflicts in Afghanistan and Iraq. Civilian first responders are benefiting from the military’s “lessons learned” in the area of bleeding control through the DoD-supported “Stop the Bleed” campaign. Personal cyber security is the most-discussed topic today. Personal cyber security is not a simple thing. The rate of cyber crimes is increasing tremendously. Cyber attacks are prevalent because they happen regularly. Cybercrimes always target financial information. They also target financial information. This includes embezzlement and fraud. Cybercrimes target small businesses, large organization, and governments. Cyber attacks cause a lot of damage to many individuals, government, and organizations. A good example is an attack that occurred in May 2017. It affected more than 150 countries and more than 300,000 computers. Many targeted people have adopted measures to control the situation. President Obama allocated more has $19 billion during his term. The money was used to adopt measures to reduce cyber attackers. He addressed the issue to the relevant authorities. He wanted the matter of cyber crimes to be stopped before it spread beyond control. Trump also signed an executive order. The order will be used to provide ways to improve personal cyber security. Hillary Clinton provided many policies in her campaigns. The policies provide a clear guideline on how cyber threats can be fought and reduced. This shows that personal security is an important topic of discussion and concern. The attacks have been increasing at an alarming rate. The money that the attackers stole in 2013 and 2015 was estimated to be $ 400 million and $500 million. The figure is estimated to rise to $6 trillion by 2021. This will happen if safety measures are not put in place. Larger organizations and government officials are major targets. Personal cyber security has been highlighted by many media houses and websites. Many relevant authorities have given strategies to curb the situation. People are advised to use safety measures to reduce the cyber threats. The two classes of digital wrongdoing include harm and rupture of information security. It is essential not to give out individual data for organizations and people in order to be on a secure side. Personal data should not be given out using email or telephone. Assailants hack all data using pernicious codes. Many organizations offer this administration. They try their best to help people and organizations to fight this issue. This helps in flagging any suspicious data that comes on your PC or telephone. Individual digital security is vital because it secures your records. One should utilize a complicated password that is hard to hack. It is important not to use the secret word for some records. The opening record encourages one to incorporate numbers, letters, and images in the secret word. You should not click new links that have been sent to you via messages. It is important for you to visit the site of the organization and sign in. Rubica app is a modern version of securing data. It is easy to download. It does not have a lot of hardware manuals. One only need to download and sign up. Signing up requires the last and first name. The app starts providing personal cyber security after signing up. It is a flexible app. The user can turn it on and off when it is either in use or not in use. IOS apps allow the user to track activities that Rubica has investigated. The user can view the activities through the graph. They also permit the user to asks questions and provide suggestion to cyber experts. Rubica app has professional cyber security. The experts come from leading organization including the US Navy and the Scotland Yard. Rubica app operates behind the scenes to avoid disrupting the activities of the user. It is a certain and a highly private network. It operates on a daily basis. It has assisted many companies and individuals by reducing the rate of cyber attacks. Rubica is important because it provides real-time analysis. It has assisted many users around the globe. Many people have acknowledged the app because of its simplicity. Large organizations, companies, and individuals have suffered from cyber-attacks and compromises. Highly trained workers are required to protect data and information. Individuals who are in charge of personal cyber security must have distinct superior talents. Many organizations have limited funds, but they have struggled to contribute to reducing the rate of cyber-attacks. The professionals should continue advancing on their skills in order to stop and reduce future cyber-attacks. Cooperation from relevant authorities will help to reduce and eventually stop the situation completely.